Bryson DeChambeau enjoys the rewards for his first PGA Tour win at the John Deere Classic. SILVIS, Ill. – Illinois golf and Bryson DeChambeau seem to be a perfect fit. DeChambeau won the U.S. Amateur at Olympia Fields in 2015 and now he’s also the champion of the John Deere Classic. The JDC, in fact, produced his first victory on the PGA Tour. Few doubted that DeChambeau would be a budding star on the PGA circuit after he win at Olympia Fields. He even followed that up by winning the NCAA title that year. Few golfers have pulled off that double. After turning pro, though, DeChambeau was hardly an immediate hit. Though he did have a tie for second at this year’s Puerto Rico Open, he also went through a stretch in which he missed 10 straight cuts. The John Deere Classic, though, changed the perception of the colorful 23-year old. 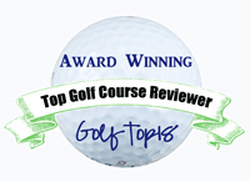 He found TPC Deere Run to his liking in a beautiful week of golfing weather and notched that elusive first PGA Tour win. It wasn’t easy, though. He needed to shoot 30 on the back nine to overhaul Patrick Rodgers, the leader after 36 and 54 holes. 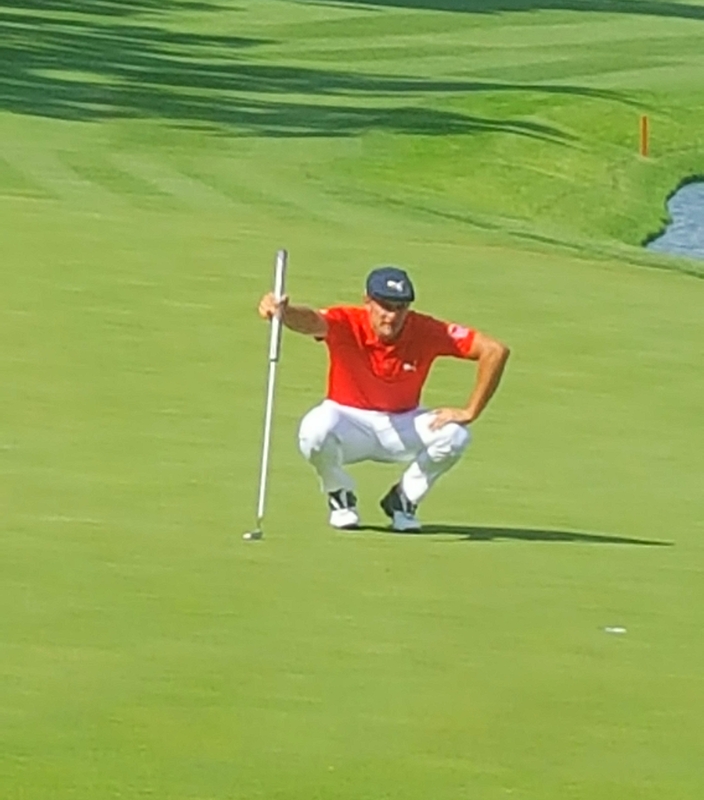 DeChambeau caught Rodgers with a 14-foot birdie putt on the 18th green. DeChambeau’s putt barely caught the right edge of the cup and dropped as Rodgers was walking down the adjacent 17th fairway. Both were at 18-under-par at that point. Rodgers didn’t stay there for long. He found his tee shot on the par-5 seventeenth behind a tree and had to chip out. The chip wasn’t good, either. It ran into the rough on the right side of the fairway 205 yards from the cup. 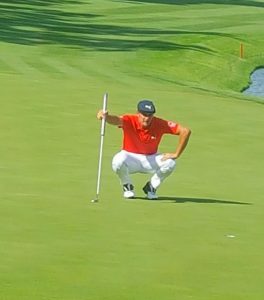 DeChambeau lines up his putt on the 18th green. His third shot wound up on the green but in a most difficult spot – with a bunker blocking his path to the cup. Rodgers had to take the unusual method of chipping on the putting surface to get at the hole, but his fourth shot took a bad bounce, leaving him six feet away. When his par putt lipped out Rodgers’ time at the top of the leaderboard was over, and DeChambeau could celebrate. “It felt like a long time coming, though I’m only 23,’’ said DeChambeau, who alternated tears of joy with boisterous victory comments after play was done while Rodgers – still looking for his first PGA Tour win – dealt with another near-miss. Then he heard the roar from DeChambeau’s birdie putt dropping at No. 18, and that changed his mindset. Rodgers tried to get back a share of the lead with a birdie on the 18th, but his play wasn’t up to it. His drive finished in the right rough with a tree again blocking his shot to the green and his second rolled over the putting surface. The birdie try from there was a good one, but the ball stopped a foot away. That made DeChambeau the tenth first-time champion on the PGA Tour this season and the 19th player to make the Quad Cities tournaments his first PGA Tour victory. Then he coaxes the 14-foot putt in, just inside the right edge of the cup. 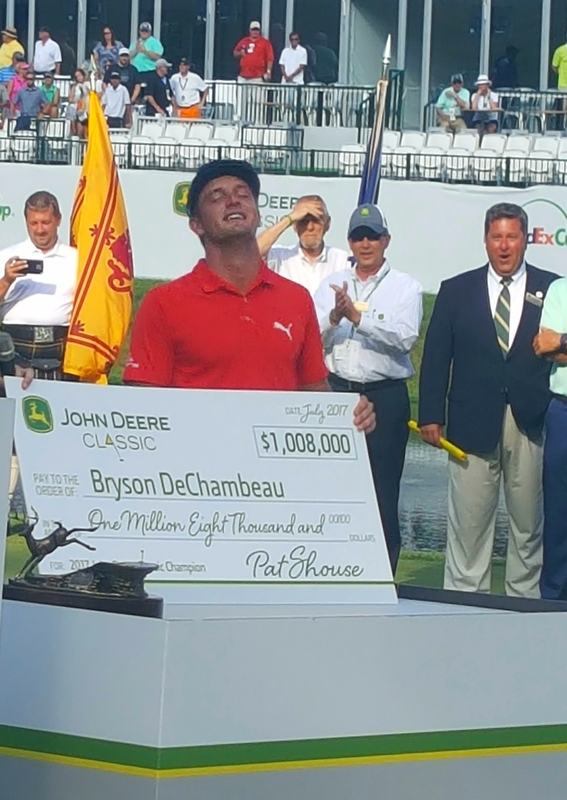 At the awards ceremony on the 18th green DeChambeau broke down at the mention of the late Payne Stewart, who also got his first win in the Quad Cities in 1982. 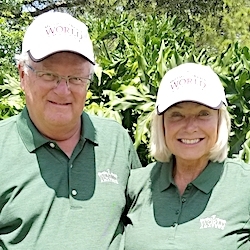 DeChambeau somewhat patterns himself after the colorful Stewart, who went to college at Southern Methodist before DeChambeau arrived there and – like Stewart – got into the Quad Cities event on a sponsor’s exemption. DeChambeau is a bit different than Stewart, though. He plays clubs of the same length and is very analytical about his game. Stewart was more a free spirit prior to his death in a plane crash. And now it’s time to celebrate. When it works he looks like a genius – and this time it worked. The final round was not good news for the two Chicago players to make the cut. Wheaton’s Kevin Streelman made double bogey on the first hole, wound up shooting a 2-over 72 and fell 26 places into a tie for 44th place. He won’t be seen on tour again until August’s PGA Championship. Northbrook’s Nick Hardy was paired for the second straight day with Ben Hogan Award winner Maverick McNealy, the only other amateur to make the cut. They started the day tied, and McNealy ruled the final round 69-71 to be the tourney’s low amateur.